Rats are a pretty standard problem for residents or businesses in Berkeley, CA. We deal with on a weekly basis year after year. Our standard procedure with dealing with people who need help with rat control is through an inspection of the property to identify where rats are gaining access, setting up rat traps, doing the necessary repairs on the property caused by rats, and finally, removing the rats, and the mess caused by your rats from your property. To talk to a rodent control specialist about your rat problem and get an estimate for the costs of your problem and how we can serve you, give us a call at our phone number (510) 900-8593. The most common way we deal with rats in Berkeley, CA is by setting up rat traps near the areas where we think that rats will be near. We also will do a thorough inspection on all the areas that a rat could have gotten on the property, and provide the necessary repairs to fix the damages. Rats have large teeth that can chew through just about anything. Sometimes we will find that a rat has chewed itself into the home, or simply squeezed under a door with too large of a gap between the floor and the bottom of the door. Everyone has seen the scenes in the movies where people try to sweep the rats or mice out of the house with a broom or stick, but that is rarely reality nor effective. For most people seeing a rat is a terrible sight and can be very frightening. In basic terms if you see a rat running around in your house there’s a big chance there’s an even bigger population somewhere in your house and the need for a professional rat exterminator is at an all time high. One of the more common calls we get for pest control is someone calling asking, sometimes even begging for help to help them with their rat infestations that is going on in homes, restaurants, hotels, and other properties. First, we identify and provide a thorough inspection to locate where rats are staying at, and learning where they are getting their food, and where they are settling at for shelter. We will also find out the damage that they have caused. To take care of the rats, we will set up rat traps and bait them or poison them in a thorough manner to kill the population before they start to blow up. Rats must be taken care of immediately to prevent them from breeding within their population and creating a much larger infestation from taking over the property. Once a rat infestation is properly identified there are precise rat prevention methodologies to consider. For rats the two main reasons infestation are food and warmth. It is difficult to keep warmth away from the mammal because it is too hard to continue to pick up your house and move. On the other hand you can control the available food that rats could potentially eat. Leaving out food on the kitchen table or floor is a sure way to provoke rats into entering your area. Rats love to harbor around any sort of garbage can, and love to indulge on dried out foods everyone has in their pantry like breads. The last thing you want to do is come home from a long day of work and eat contaminated food when you could have prevented it in the first place. Instead of leaving out food for rats to consume the best thing to do is eliminate the option by properly sealing up all leftovers. Rats seem to love wood and plastic so securing items or food in metal containers is the smartest thing to do. Something that rat can't chew through if you know they are around. The last thing you want to do is give rats opportunities to ruin your belongings. In the kitchen, anything cardboard can prove to be extremely desired by the rodents because they love to chew and eat anything related. Rat packs love to destroy human items and food, don’t give these annoying rodents the chance to ruin your day because you didn’t take the necessary steps to prevent the little mammals. Rats can change frequently in their rat environment, regardless of what humans are doing. For this reason alone rat extermination is still one of the most difficult tasks to accomplish. 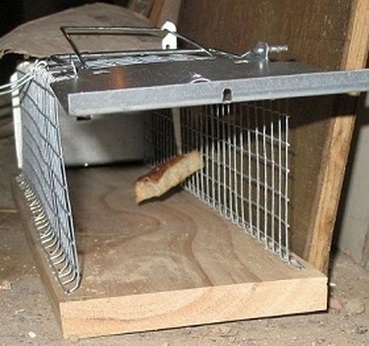 Rat traps are needed to counterbalance the unwanted infestation of rats. Without a proper rat trap it makes life a lot harder to eliminate rats in the first place. Every rat infestation problem is different and should be treated with different infestation prevention techniques every time. It is impractical to live your life without seeking the help of a professional rat trap expert if you have any rat infestation troubles to begin with. There are several things to do as a Berkeley community to prevent any more rat infestations. If the community is tired of dealing rat traps and doesn’t want to put up with the rats anymore, than there are steps to take to secure a rat-free area. Any residents in the community can collectively help secure the area by setting up multiple different rat trap configurations in a strategic way, near doors, holes in the wall, or even in rat trails in the backyard of residencies. If you have no team of neighbors to help fight against the rats than it may be on you to fend off the unwanted animals. Understanding your current rat problem is one thing, but traveling back hundreds of years ago to see where all these rats came from is another matter. Some people believe rats randomly invaded the United States, or have no clue how rats came to the country. Originally, the rat population was centered around many of the Europeans that came to the United States. Before Europe, many rat scientist believe the center of rat evolution is in the east, China and India. If you travel to India and China you can’t help but notice the amount of rats running around everywhere. If Americans think they have serious rat control problems, think again. When Europeans traveled to the new world hundreds of years ago, they brought rats with them on ships. Some rats came accidentally and others by mistake. The worst part about starting a rat epidemic in a new world was the fact that the annoying little pheasants could easily transmit diseases. The rat diseases would spread across the east coast initially and work it’s way down to the south. The rat problem truly didn’t start to become a problem until wood based houses started to emerge. With the new style of house development, contrary to the European style, rat opportunities were abundant to harbor in new environments. For obvious reasons, rat prevention was less effective back then than it is now. Many of the rat control techniques professionals are using today were never known before our time. Knowing and trusting in the best rat technicians is a big task to overcome. Nowadays, there are so many different rat elimination methods that people can truly be assured that if a rat issue emerged, the highly trained could be able instantly wipe out the situation. Rat infestations could become a serious issue in a very quick time due to how quickly rats reproduce. One rat could turn into thirty rats in no time, and they'll continue breeding with their family, and have success doing so. For this reason, identifying rat infestations may be challenging but it is vital in the rat prevention process.